If Metacrtitic will be a major barometer in charting the future course of Sonic games, as has been alluded to by Sega officials, a small observation may make you feel good, not so good, or simply indifferent as a fan. It could also be a small moral victory for Sega and Dimps regarding its digital efforts. That because as of this article’s publication, the Wii edition of Sonic the Hedgehog 4: Episode I, compared strictly to the Wii edition of Sonic Colors, has a one point Metacritic advantage, 78 to 77. 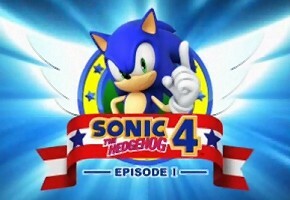 Indeed, other versions of Sonic 4 have scored lower. The XBOX 360 edition sits at 72, while the PS3 port is at 74. And to be fair, Sonic Colors for the DS has the highest average of them all, at 81. But recent poor reviews of Colors on the Wii have brought down the average some in recent weeks. Looking strictly by the numbers, it’s the cheaper, download-only, more fan-criticized fare seeing the edge of success in a virtual dead heat, at least on Wii. Initial sales estimates for Sonic 4 dictate the same message. Most fans, of course, know better. One can only hope Sega will, too.